We are engaged in providing a wide range of PA System Accessories to our clients. We provide these PA System Accessories to our clients at the valuable price. We are a trusted name in the industry for manufacturing and exporting PA System Weather Proof Canopy. 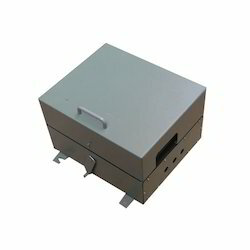 The offered canopy is suitable for housing industrial pager system and industrial phone system. It is resistant to corrosion and weathering owing to the use of high grade material for making it. It has been checked for the assurance of quality by our diligent professionals as well. Usage : Suitable for use with industrial telephone / paging station. 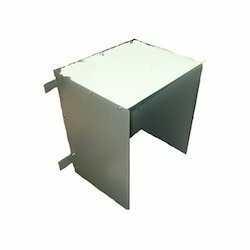 Our organization is a trusted name in the industry for manufacturing and supplying Industrial PA System Station Enclosure. The offered product has earned us huge profits and a large clientele for being made from high grade of material. It is ideal for enclosing industrial public addressing system. Being sturdy, compact in size and light in weight, it can be easily carried and is capable of being mounted on walls as well. We are the pioneers in the industry for manufacturing and trading Industrial PA System Acoustic Booth. 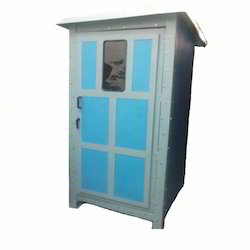 The offered booth is used for housing industrial public addressing system and is layered by acoustic materials including glass wool and perforated wooden panel. It is spacious and is capable of protecting the system from dust and moisture. This offered booth is effective in providing isolation to the user and ruling out disturbances. We have earned a sterling reputation in the industry for manufacturing and exporting Industrial PA System Acoustic Hood. The offered product is effective in isolating industrial public addressing system. It keeps away sound emerging from various machines in mines, civil engineering sites and metal industry. This hood is robust and layered with acoustic material for proper functioning. We are known for timely delivery of orders as well. Designed for use in Noisy areas and Harsh Environment. 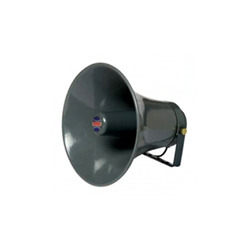 We are instrumental in manufacturing and trading PA System, FLP Horn Speaker. 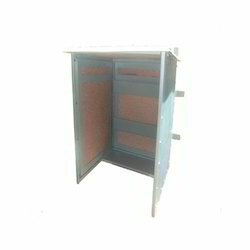 The offered product is used in mines and civil engineering sites for public addressing. It is sturdy, resistant to flames and can be mounted on wall. This speaker is ideal for making announcements and is operated by the means of electricity. It can be supplied in bulk owing to our spacious and systematic warehousing. We are instrumental in manufacturing and trading Industrial PA System Indoor Loud Speaker, which is extensively used for being connected in indoor public addressing system. The offered loud speaker is exceptional in performance owing to the incorporation of high end machines for making it. This product provides with impeccable quality of uninterrupted sound and is ideal to be used in auditoriums and indoor stadiums. 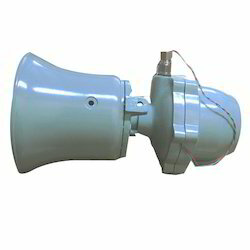 We have set a benchmark in the industry for manufacturing and supplying Industrial PA System Outdoor Horn Speaker. 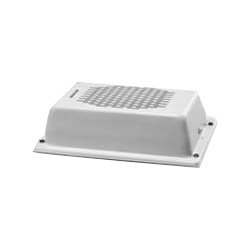 The offered product is used with outdoor public addressing systems and is made from high quality of ABS plastic. It is ideal for stadiums and play grounds as it is resistant to weathering. This speaker provides with high quality of sound and is easy to install due to its light weight. Looking for PA System Accessories ?